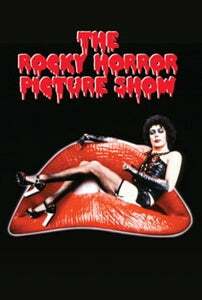 There's something about The Rocky Horror Picture Show that has always weirded us out. As much as we like campy films, transsexuality and Barry Bostwick, the film has always missed the mark with us as a campy classic (we much prefer Plan 9 From Outer Space and O' Lucky Man). That being said, the movie has been able to maintain its cult following for years. In fact, most major metropolises or college towns will annually, if not weekly, show the film along with some sort of audience participation. Having gone to school in Austin, we were always at risk of going to one of these events. One chilly November night we, along with our significant other, trekked out with some friends to see an exceptionally sophomoric version in a sparsely attended monthly showing at a theatre far north of town. It was boring and amateurish but survivable. That is until we recognized one of the performers as the sister of a high school friend. It got worse when the sister recognized us and thus directed her show towards us. Longest night ever, man. For me, seeing two pedals and a prindle in a supercar is like spying a beautiful woman from across the room and then getting closer and noticing her Adam's apple and the five o'clock shadow lurking beneath her foundation. Been there, done thad... we mean that.